The Professional Mesh Transition Tight is a convertible tight designed specifically for classical dance and is constructed in a soft pointelle knit that provides a smooth sag-free fit. Features include a semi-opaque texture, transition foot opening, back seam, a 1" plush elastic waistband, and dyed-to-match gusset. These tights are amazing! Our daughters wear them for class, recitals and shows. Our eldest in particular thinks they are the best fitting, most comfortable tights she has ever worn. Definitely an essential do classical dance! My daughter has been wearing these tights for ballet for over 8 years now. She won't wear any other brand or style. She loves the comfort and I love the durability. I ordered three pairs of these tights about two years ago and I still have two pairs left! On average a pair for me lasts about six months and that is with dancing 3 hours a day six days a week. The size does run small ( I am 5'3 115 pounds with a medium torso) so I had to order the next size up. I would totally recommend these tights if you want a pair that lasts. Comfort- the only area where these tights are at all lacking. They are just a little bit scratchy when I initially put them on, but by the time I get to class, I've forgotten all about it. Sizing- I will mention that i ordered a size small, but am 5'4.5" and 135 lbs (mostly muscle- I weigh the same as I did last year, but since then have gone down two jeans sizes, if that helps you visualize). So according to the chart I should have ordered a size up. However, these fit me just fine. Appearance- I ordered the lighter color pink of these and was afraid they might not look good with my Russian Pointe shoes (both Rubin Pointe and Andante Slippers), but was pleased to discover they were only slightly too pink out of the packaging, and were just the right color after just a few washes. And can you get any more classic than having that beautiful seam up the back of your legs?! Durability- excellent. I've only had these for 2 months, but they have held up very well and they look as good as they did out of the envelope. My Russian Pointe tights, however, (ordered at the same time) have not held up at all. I have a different model of Capezio tights that I have worn over 80 times and the only reason I'm letting go of them is that the color has finally faded. Never once did I have a run in them. So I am extremely confident in these stunning tights. Capezio is officially my favorite brand of tights, and this model will definitely be my go-to. I love these tights! I'm taking a summer ballet class this year for 2 hours a day and they're super comfy! They're really soft. When they arrived, I took them out of the packaging and they looked really pink (more pink than any other theatrical pink tights I've had), but once I put them on, it kind of tones done the color a bit. My only complaint with these tights is that they have a toe seam. I've always found them really uncomfortable and just generally a bit annoying. Other than that though, these are great tights. I love these tights. You are able to see the mesh. I've had a pair for 1 1/2 years, and just got a hole after snagging it on a hook. The waistband can be a little uncomfortable at first, but after about 15 minutes of dancing, you can't feel a thing.The hole stretches a little, but not much. The only downside is the color. I ordered theatrical pink, and it was REALLY pink. But after about 11 hours of dancing, and washing, the color fades to whitish pink. I dance about 10 or 11 hours a day, 5-6 days a week, and they have remained comfortable. It is very affordable, as always on Discount Dance. The faded color is perfect for Russian Pointe, and the not so faded color fits perfect for other brands. I love these tights, and highly recommend them!!! These are my daughter's favorite tights ever. We started buying them in the child sizes and have continued into adult sizes as she has grown. They last forever, look great on, and have a great fitting convertible foot. They are super durable, but when a snag happens, because of the weave, it is easy to pull the snag to the inside and secure it with clear nail polish to make them look brand new again. We have actually handed down many of these tights to a younger cousin because my daughter outgrew them before they were destroyed. (Handed. Them. Down. That's how durable they are. Crazy.) Warning- the Theatrical Pink is the normal light ballet pink (and looks amazing with Russian Pointe shoes). Classical pink is a darker, more orangy pink. Overall, an amazing tight. Pretty sure I will be buying them until the end of time. I have to say these are on of the best tights I have ever owned. They are made of this great quality that never runs up and down. They are comfortable when I put on pointe shoes and they feel like a breeze when I stretch. They are made of this knit type of cloth which makes them great for the winter d the help you cool down during the summer. Also they are very durable they never tear. And last they have a beautiful color for those who have dark skin they give this pink/melon color . These are my favourite ballet tights. The microfibre weave provides a good compromise between stretchiness and sturdiness. It stretches enough to be comfortable but not so much that the tights are opaque in the lower leg and transparent in the upper leg and bum. They hold their shape and are resistant to holes and runs. A hole doesn't run and can be mended. My only complaint is that I wish they were a bit longer for us tall dancers. I have class twice a week, for about two and a half hours both nights. I alternate two pairs of these for each week, and they've done great through about three months worth of classes as well as a two week summer intensive. The color, like in every pink tight, eventually washes down to a pasty whitish-pink, but the Classical Pink is very pretty right out of the box. Being mesh, they snag a little easier than seamless Capezio tights, and they are a little warmer as well. The only downside to these would have to be the high waist; I roll it down around my hips so to give me a more flattering torso, and so I don't get stomachaches during class. Overall though, they're extremely comfy and don't stretch out. Love these, and would recommend to all budding ballerinas out there. I love these tights! They look really fat when you take them out, but they fit really well! These were the first mesh/seamed tights I have ever owned, and I love them! They last forever and and they like never rip. I struggled with the color for a while because I love the classical whiteish/pink tights and I hate the awkwardly pink tights that make pointe shoes look white. 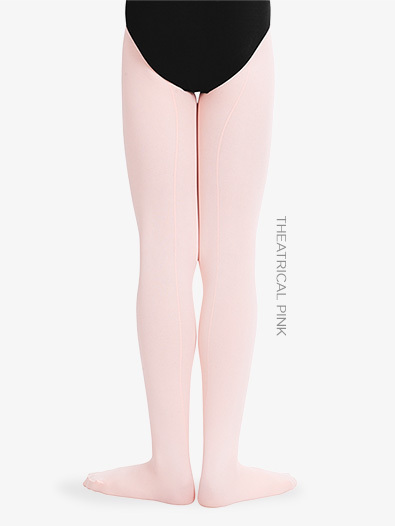 TIP: Theatrical pink is exactly the same color as ballet pink in the regular capezio tights. The waistband is so tight on these tights that they create a very unflattering line under my leo, (I'm 5'6 and 120 lbs) so they're the tights I wear when I havn't done laundry in a month which is unfortunate because they are very soft and I love the color. I love seamed tights because it is easier to see your lines and check your rotation. I do prefer regular soft tights over mesh, but it's not a huge difference. Like any convertible tights, don't wear them up around your ankles too much or the holes in the feet will stretch out. Great tights, I only wear these. These are the softest, most comfortable tights I've ever worn. They look great, feel great, and so far have held up well. To put it simply... I will never wear any other tights than these. They are beautiful, comfortable and easy to put on! I love, love, love these tights! I have ordered and tried out many different styles and brands of tights. These are my far the best! I always order these in Classical pink because although they are at first quite bright, I like it and they do fade over time. Also, they wear great. Overall, they are the best tights I have ever had! My daughter has been wearing these tights for years. They are the ones her company wears and they look great onstage, as well as being durable (she dances 6 days per week). I got these in the mail and was going to wear them for a performance, but the color is horrifyingly bright pink. They were so comfy but I couldn't wear them after seeing how they looked on me. They have been sitting in my drawer for half a year, what a waste. These tights are super comfy and last longer than the average pair. I love seamed tights and I'm glad that the mesh is stretchy like un-seamed tights. They're wonderful! I'm an older dancer and prefer a little more coverage from my ballet tights, these are absolutely perfect. Thicker mesh fabric, but still plenty stretchy with great recovery. Super durable too, and you can sew up holes if you do get them. I actually put a hole in these when pulling on a leo with bra hooks, one of the hooks grabbed onto the tights and put a hole in them! I had to go to class so I left it, and it never ran and I was able to sew it up later. My waist is 26" and I found the waistband a bit tight in the L/XL size, but the length was great. Foot hole is nicely finish and sized. The seam is not a real one (it's knitted in) so it may not be pronounced enough for some people. I got the theatrical pink and they match my pointe shoes perfectly. Compared to the Body Wrappers seamed convertible tights, these are slightly thicker, but more stretchy, and don't come up quite so high. I love these tights to pieces! The fit is perfect, I am 5'5'' and 100 lbs. and I got the Small/Medium in Theatrical Pink. Thus, I didn't have any problems with the color. The hole in the bottom is a good size for the foot to fit through. Everyone at my studio wears these tights and we all love them. They have never pilled nor have they run - EVER. They are not as soft as other tights but they are still very comfortable. I doubt that I will ever wear a different style/brand of tights. These tights are very good quality and soft. However, the waistband is really tight and uncomfortable, though its probably not as bad if you're thinner. These tights are fairly durable and overall pretty good. These tights are so comfortable and durable! I've had them for a year and they're extremely comfy and durable. Also, they have a very professional look because of the seam and mesh fabric. These tights are just absolutely terrific. I only have the very bright pink, but I would love to have the less lighter pink. They are really comfortable, and they stretch while you grow so you'll always be able to wear them. They look really nice on every dancer. Many dancers from my school have these, and they always make their legs look long and lean. I would recommend these tights to any dancer who needed a nice pair of tights for any type of event. They're also extremely comfortable, and feel amazing. I have used this type of tights for twelve years. I love the classical pink, it lasts dark pink for a long time. They last forever, they hardly ever snag. Great tights! These tights are super soft when you first get them an they last like forever, when they get a snag or tear in them it is never bad and it doesn't happen often either. After you've had these for a long long time, of coarse these get not as soft, but all tights are pretty much like that. So I would totally reccomend these. I have all kinds of tights: seamed, transition, fishnet, footed. If I had a choice, I would wear these all the time. The seams lay where they're supposed to, the transition hole isn't awkward and annoying, and the lines don't show even under my thinnest leotards. Theatrical pink is beautiful and not too peachy. They match perfectly with Grishko and Russian Pointe shoes. I am been wearing this style of tights for years, and love the comfort....but recently I noticed a definite deterioration in the construction and quality.. In the past, after perhaps 2-3 years, I did experience getting holes in the toes. But, now.. after about 2 months . the crotch area rips apart?! I am an average size dancer.. I am 5'4'' and 118 pounds, and I have to order size L-XL. I love these tights they are super pretty.But they run easily I bought eight pairs for the semester and within a month six of them had holes in the crotch and tons of runs.I would suggest to get the Body Wrappers Mesh Tights they are the best ! I used to wear these tights and I loved them. They are a thinner material so your lines look better and they dont run. The only problem is that they run very small. I am 5' 11' and 140 lbs and the extra larges hardly make it up to my thighs. Get a size bigger if you like to move your legs without ripping your tights. AHHHH I just got these tights and they are FABULOUS. They are super soft and the color/thickness makes legs look more toned. True, they are a little short, but I usually wear my tights footless so it's not really an issue. These are the best tights. I love them. They make your legs look longer and more toned, and are absolutely beautiful with my Grishko pointe shoes. I have talked to men who I partner with and they say its not as soft on their neck, or arm, so when you have pas, try to wear your newer tights, rather than older. Overall, amazing tights. I love them so much. Everybody seems to complain about the peachy color. Honestly it looks WAY better on stage compared to most of the "ballet pink" tights that turn white after a few washes. This tight fades slightly so it's not so vibrant and then it's perfect. Doesn't stretch a bunch so order up. Overall my favorite performance tight. Our studio sells these and they have a wonderful long lasting life. They last longer than any tights we have ever had. Yes the color is bright when you first see them, but they look wonderful on. Bought 3 pr. Quality is there, that will not be disputed. Th color is just TOO ORANGE. They have been washed numerous times and they are still noticeably more orange than any others in the class. Choreographer asked that they not be worn on stage due to the extreme difference to all other dancers. Too bad. The quality is there, just a bad color. I Love these tights. They are so easy to move around in. Don't worry about the color, they look really good with a black leo and pink shoes. Very flattering. Order EXTRA !!! They run like crazy! They run small!! My 8 yr. old is wearing Adult S/M size. They run like crazy. I am already on my 4th pair!!! ORDER EXTRA. Eh. Not the best. We are required to have these tights for competitions and luckily their snags don't leave huge runs, but if girls have washed them different amounts of times (ex. one girl has a brand new pair and one girl has a pair that has been washed three or four times) the difference in colour is very noticeable. I wouldn't recommend these for class either, the colour is not very flattering. I got 2 pairs of these tights and they are pretty good. YES they are very peachy when you first get them, but after a couple of wears and washes they really tone down a ton! They still aren't pink, pink though, but they go with my skin color well, and I'm 5'2 so the short part fit perfectly, but to normal height people, you might want to order a size bigger than it says. And someone mentioned them not getting snags, they do. Not bad ones, and they don't run. It just leaves a little snag. They are VERY comfortable! Where are the old number 8s? I am always on the lookout for traditional mesh tights with seams. The seams on these look fake, and you can't see them from stage. Everyone at my studio used to get the number 8's. These are a second rate version. So the color is bright. It fades. Especially if you wash your tights with Clorox 2 (which you should anyway for sanitary purposes). These are honestly the best tights I have ever worn. They just get softer with each washing, they never lose their shape, have that great seamed look, and they don't run. Seriously. I have snagged my ring on my tights many times and never had them run. I do not have a traditional dancer's body (thanks to two children) and the waist on these tights doesn't cut in and looks smooth under leotards. So get over your fear of the color. It fades. These are fantastic tights. I Love these tights. I agree, they are very, very pink, yes, like salmon or Pepto Bismol, but the color does not bother me in the least bit. I won't wear anything but these tights because they are so comfortable. I wash my tights in warm water in the washing machine and hang dry them. After a few washes, they become the Prima Soft color and they last an amazingly long time. I ONLY wear Capezio tights because they are the only ones that last. I decided to buy these (in classical pink)because my teacher requires seamed tights for exams. These tights are extremely comfortable and soft (and warm! )but I looked as though I had been attacked by Pepto-Bismol. Quite honestly, these tights look horrendous, especially with my (pink) Bloch Pumps in canvas. These tights are a salmon color, I suppose, but look absolutely dreadful. I hope washing them numerous times tones down the color. You've been warned! These tights fit me wonderfully, but the only problem is, I am extremely used to Prima Soft colors, so these seemed to be too bright. They're just OK...they aren't very flexible so it's hard to get the convertible on and off your toes. I was a little confused when the other Mesh tights got replaced, but I prefer these. They're softer, and the hole on your foot isn't as small. The pink is a little bright, but I can live with it! These are great but the convertible part is a little small. I could barely get it over my heel, but I will order them again. I also ordered these tights by mistake, thinking they were the Capezio #8 REAL mesh kind, but discovered these tights really aren't that bad. They are very comfortable and out of my 4 pairs of them, NONE have a single rip. The seam can be kind of tricky to get aligned, and they are a strange orangey color, but I still recommend them. What lbs, height range go with the size S/M? My daughter has always ordered the child 8-12 but is just beginning to outgrow this size. Thank you! A size chart can be found for this item by clicking on the alternate images below the photo of the model. Please note, sizing cannot be guaranteed. WHICH ONE IS CLASSICAL PINK?  Classical pink is the deeper colored hue that has slightly more of a orange undertone.